You’ve already shown us you’re serious about your Email marketing business, and we’ve taken note. Email Jeet PRO is an amazing offer, but maybe you don’t want to send emails for others, or maybe you don’t want to spend so much money today. But that doesn’t mean you have to be satisfied with less success. Time is money and why shouldn’t you spend time working on something that lets your reap rewards or is fun instead of doing a secretaries manual job that you can automate? 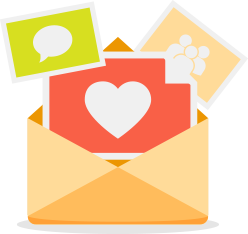 Without Autoresponder and mail sequencing you will spend days and days just cuing mails and hitting Send buttons. Don’t punish yourself when you can just cue them all together and take a vacation! 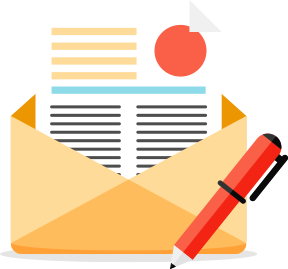 How are you going to grab leads without Email Jeet optin forms? You know, everything else will come to you at a monthly fee. So if you don’t get this, and want to grab leads later, you will have to pay a monthly fee! Doesn’t make sense trying to save pennies and spending dollars instead. Email Jeet ACE’s optin forms work anywhere. On your blog, on your squeeze page, on your website. Get this, and get your leads from anywhere you want. 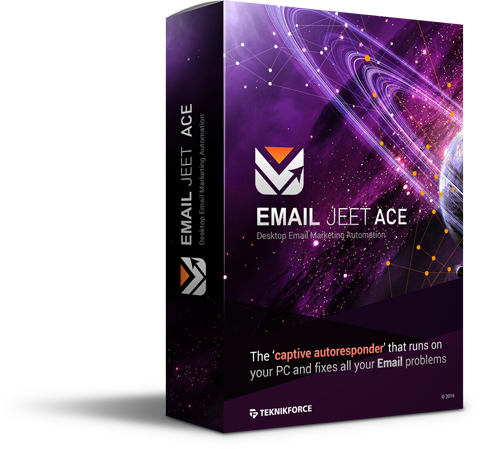 Email Jeet is the only email marketing software with an built in SMTP server. That means you don’t have to do anything at all to mail except run Email Jeet. You don’t need to pay any SMTP, any service provider. How much money can this save you this month alone? More than what you’ll spend today. Don’t give this up, this feature is worth more than what we are charging from you for the entire thing. 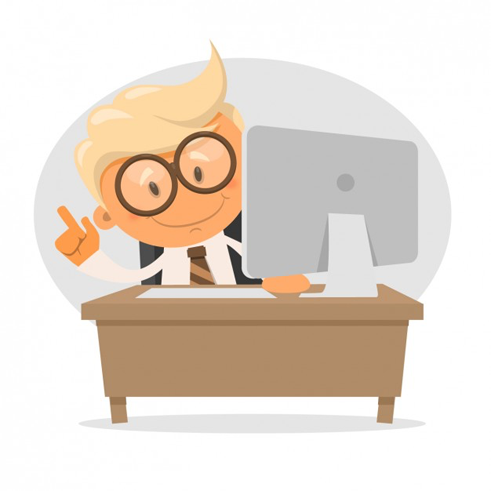 Let me tell you a secret of bigger email marketing sales – Backup Plan! Always have a plan b, and a backup. Some services work well on some days, some others on some other days. I am an email marketer myself and I am subscribed to almost every Email service provider and I keep changing them and sending emails. Why? Because now and then I discover that a service provider’s quality is suddenly up and my sales explode 200% or even 300%. Get a license for your laptop, and another for your desktop PC, your second laptop or your VA. This will help you work more efficiently. You deserve it!